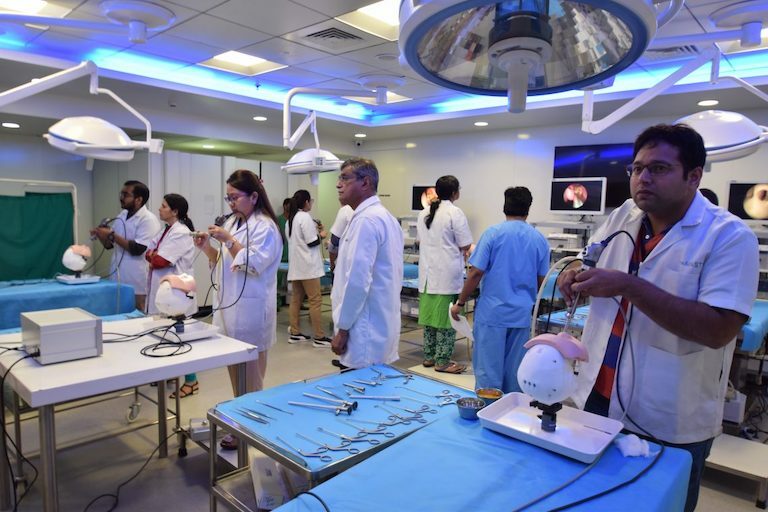 We are very pleased to announce our Partner Training Center CEMAST – Center of Excellence for Minimal Access Surgery Training in Mumbai, India. CEMAST is a unique institute founded and run by a visionary surgeon for surgeons. With more than 170 courses per year with participants from all over the world among the most popular and state-of-the-art training centers. Various types of surgery are taught and trained here by renowned surgeons – including the regular cochlear implant courses under the direction of Dr. Milind V. Kirtane, who conducts his courses out of conviction of our products exclusively using PHACON Temporal Bone models. Since the beginning of our collaboration, we count 9 Sinus Assistants, more than 260 Sinus Patients and 140 Temporal Bone Patients, with which CEMAST surgeons have been able to communicate their sound knowledge more efficiently and enlighteningly using our extremely realistic and high-quality models in uncomplicated conditions. SPECIAL: Get a special course fee at CEMAST by naming the code word PHACON. We are looking forward to a successful cooperation and look forward to many more, satisfied participants, who will get even better through our products.